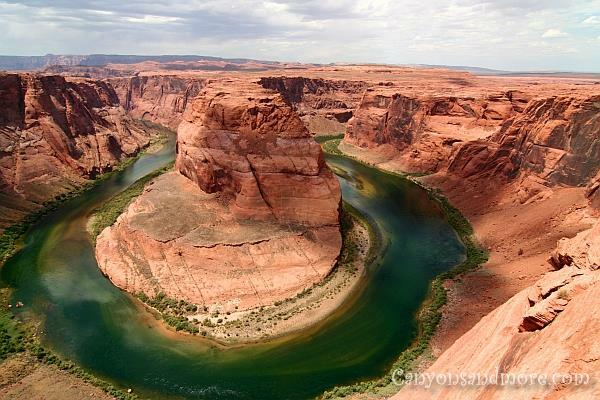 Visiting the Horseshoe Bend is a remarkable experience. When you park at the designated area and walk towards the site, you cannot imagine that you are so close to this amazing landscape until you actually reach it. Images such as the one above cannot give you the feeling you will have when you see this gorgeous landscape in person. 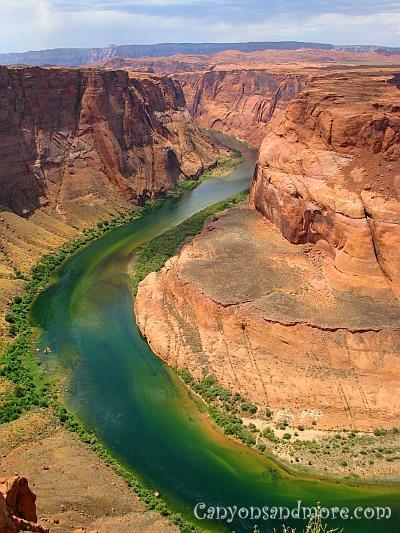 It is so awe-inspiring and really a monumental addition to the amazing landscapes of Arizona. 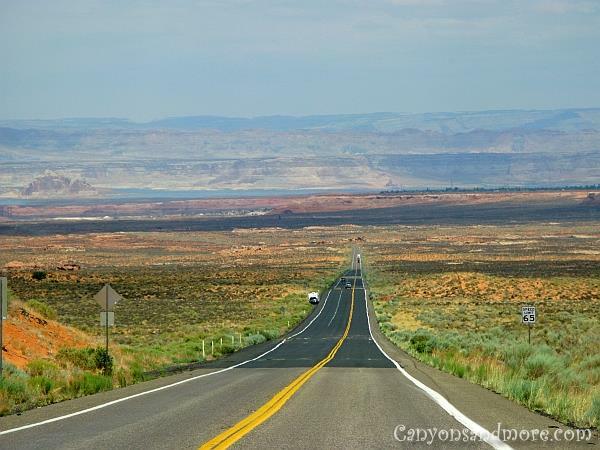 This is the Highway 89 between Flagstaff and heading in the direction of Page, Arizona. 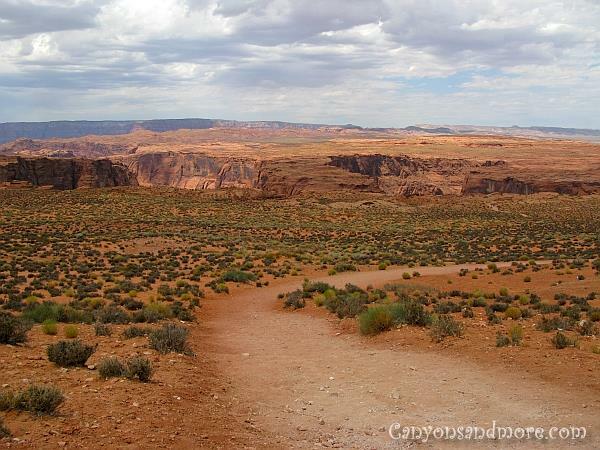 Who would ever guess that the amazing Horseshoe Bend can be found in this inconspicuous area? You will find a small sign on the right hand side of the road indicating that the Horseshoe Bend is to the left. You can also see a hill on the left hand side of the road. 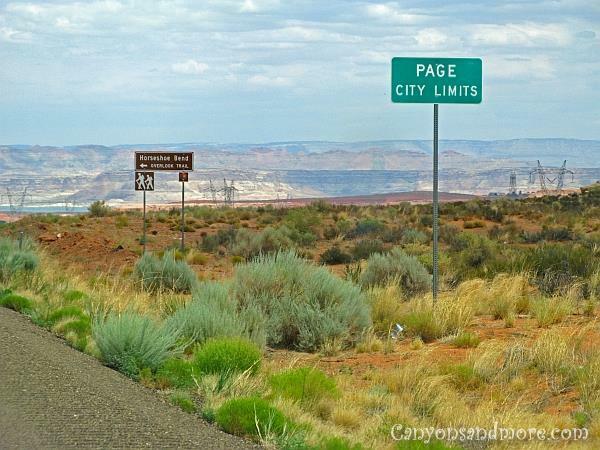 It is almost easy to miss the sign but it comes right after the Page city limits sign. There is a parking lot also on the left and a pathway leading up the hill. You will follow this pathway which is semi smooth and partially sandy. For those in wheelchairs it could be a challenge, though, getting through to the bend. 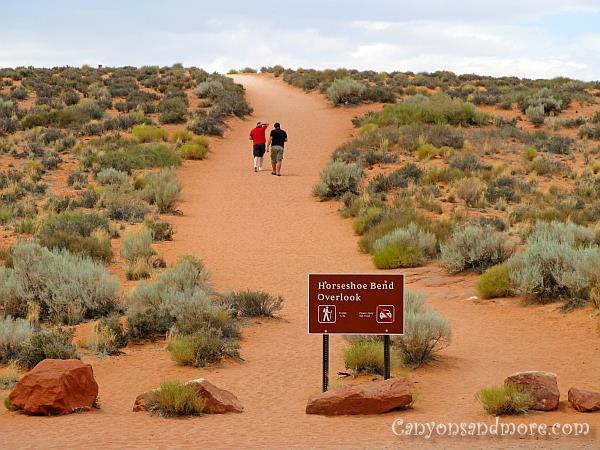 When you get over the hill, you will see where the Horseshoe Bend is located and just follow the trail towards it. It is still not obvious at this point how spectacular it will be. It still takes a few minutes to get there. During summer it is incredibly hot so plenty of water will be necessary for this walk. The trail towards the bend itself is a bit downhill so it is more comfortable to walk. 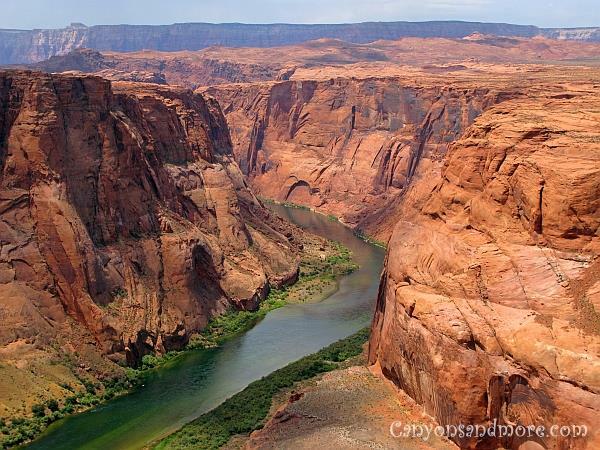 When heading towards the Horseshoe Bend you will enjoy an awe inspiring sight as you get closer to it. You still cannot see it at this point because it is below ground level. But the landscape all around you is simply incredible. When you get to the bend, it is like the pictures in the travel books. The view is amazing and breathtaking. 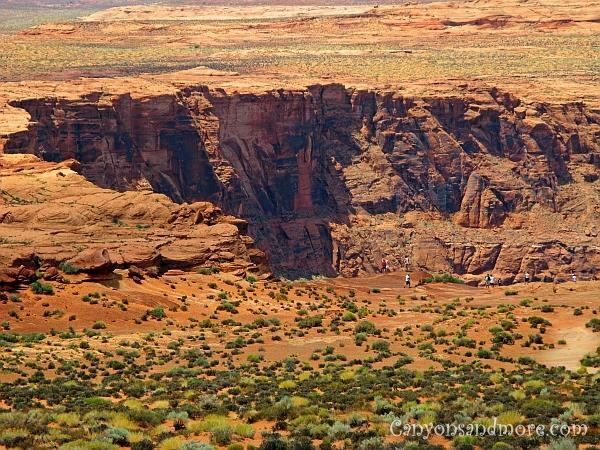 Once you are there, you can see the people on the edge of the cliff and they look so small and unimportant compared to the canyon. No matter where you are standing, the view is incredible. 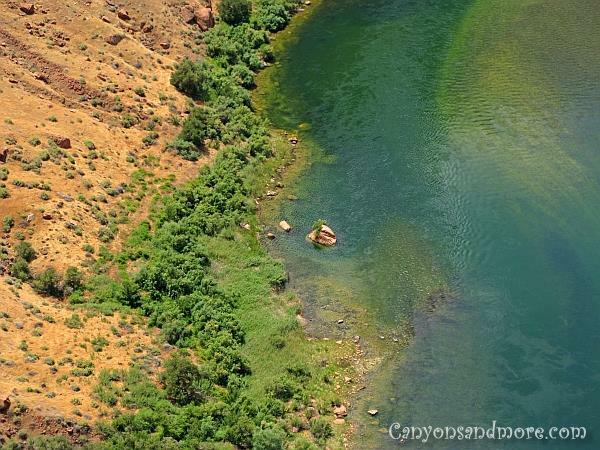 The Colorado River will be calm and green a summer’s day and every now and then you may hear a speedboat or a tourist boat come around the curve and break the silence. Around you, the fascinating etched layers of stone tell their story. 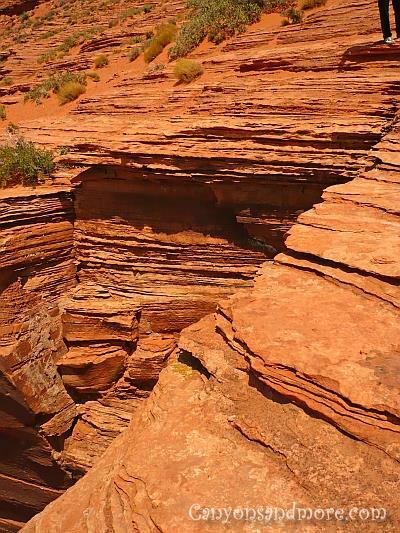 There is a lot possibilities to take pictures of the sight from the cliffs above.